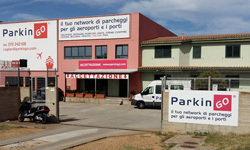 Looking for car park at Cagliari Elmas airport? Choose ParkinGO and you will receive more than a parking space! You can choose between covered and uncovered car park when booking as well as a wide range of services making your choice worth wile: car valet, car wash, luggage protection...and if your car suffers a problem in the battery while parked in the car park, we take care of it at no extra cost: With ParkinGO, this service is free! 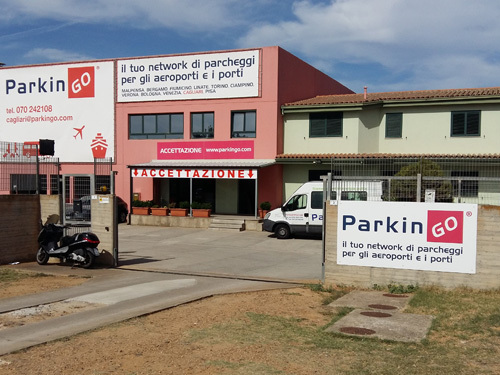 ParkinGO Cagliari Elmas is only a few minutes away from the main sardinian airport, destination of many companies like, Airone, Alitalia, Ryanair and Meridiana. Did you choose convenience when booking your flight? Don't pay more for the car park at Cagliari airport! 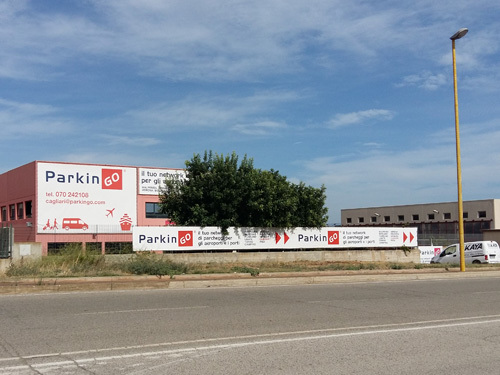 With ParkinGO you can save up to 70% compared to other airport car park prices. 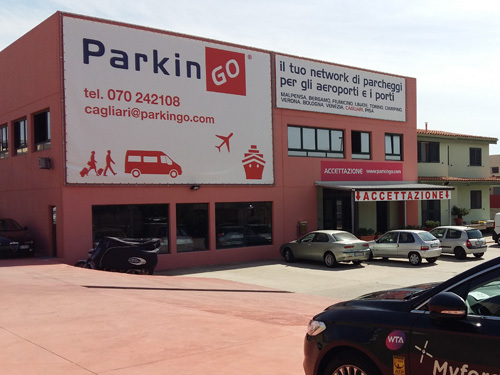 Choose ParkinGO and book now your car park space at Cagliari Elmas airport! Booking you parking space at the airport car park in Cagliari is easy and secure: only fill in the grey square besides you and click "continue". Or, call our call center 02.79.79, from Monday to Saturday from 8 am to 20 pm and Sunday from 8 am to 18 pm. Outside of office hours you can find us at the following number 070.242108. Once your booking is successfully completed at the airport car park at Clagiari Elmas you will receive a confirmation email with indications explaining how to get to the ParkinGO Cagliari Car park. at the roundabout keep left and take the second exit. ParkinGO Cagliari Elmas is on your left. continue for 800m and at the roundabout turn right. The airport car park ParkinGO Cagliari is on your left after 50m. Continue for 800m and at the roundabout turn right. 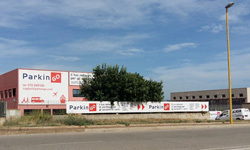 The airport car park Cagliari ParkinGO is on your left after 50m.